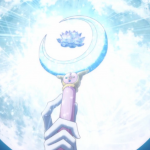 Sailor Moon is the champion of love and justice. With her Silver Crystal, she saves the world over and over again. But take away her transformation brooch, her Silver Crystal and who do you have? Usagi Tsukino, an average 14 year old girl who hates homework, is constantly late and who is a bit of a scaredy cat. 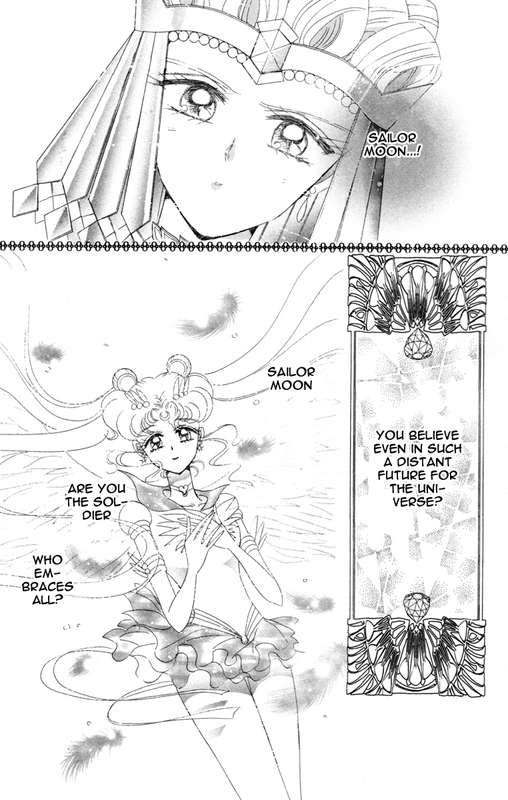 Usagi is nothing without her powers–or is she? 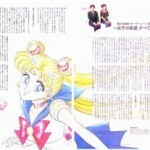 Guest writer Dina Inds explains how Usagi, herself, is the real hero behind the magic. There is no denying that Usagi is a crybaby. Her crying is actually part of her power (remember the supersonic waves and the crystal forming from her teardrop?). Even when she ceases to be a crybaby as she matures, she is still very much a sentimental person. 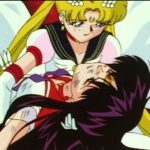 I find there is so much more to Usagi as simply herself–before she discovers her identity as Princess Serenity or even Sailor Moon. 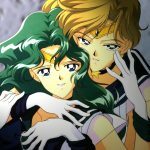 Standing beside the genius Ami, the domestic goddess Makoto, the boisterous Minako and the psychic, mature Rei, Usagi’s character can be overshadowed. It can be tempting to apply that simple ‘zero to hero’ formula to her. Her destiny is already so huge, what with saving the planet and all! Instead of being jealous of Rei’s looks, she follows her around because she is so interested! How many people can do that? Of course we also see that Rei does have a lot of female fans, so it is probably a cultural thing as well. It’s not that the other guardians are unfriendly. 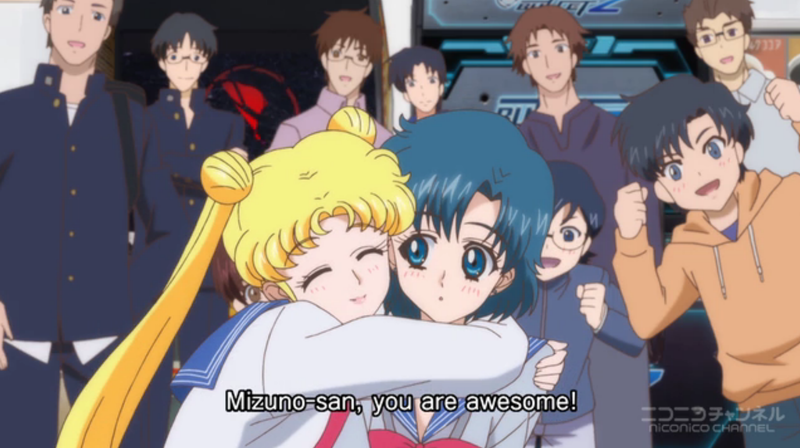 Minako can be a bit too friendly but there is a certain open-mindedness that Usagi has, that is either naïve, wise, or both. 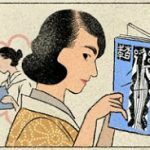 She is not competitive, and can easily accept that people can be prettier, stronger, and smarter than her, as long as they can get along with her, and perhaps rub their good traits on her. It could be that she simply doesn’t bother thinking too much and does not over-analyze things. I find it hard, especially as I grow older, to maintain that open-mindedness. I tend to judge, label, and not bother with certain people, and stick to those I feel I would get along better with. I wish I was more like Usagi. As I mentioned before, Usagi is not really a competitive person. This is probably a part of her whole attitude of taking it easy. For most of the story, we tend to see this trait as something that makes her simply easygoing and likeable, even a bit careless since it can lead to bad marks and being late for school. But the final battle portrays her ability to accept things as they are to be of immense power. In my opinion, this attitude reflects a deep spiritual outlook of the world. The bad comes with the good, and you will always have to deal with them, no matter how hard they are, and at one point you might lose everything, only to make way for the future. 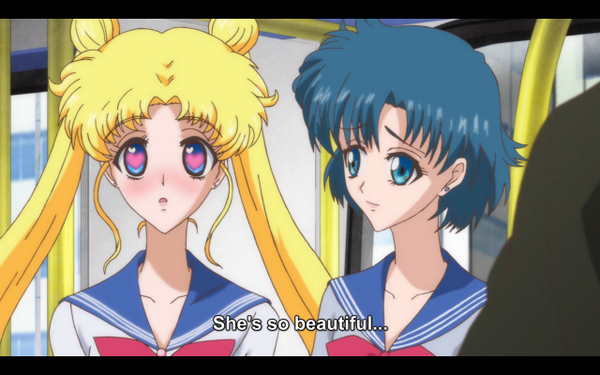 And, as Mamoru says, Usagi is the type of person who can accept that. At times, she jumps in without much preparation and ends up regretting her decision, but that spontaneous impulse to help is most admirable. Now, won’t the world be a better place if we help each other? 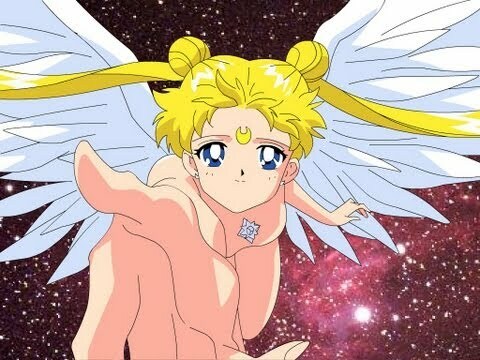 All these traits are portrayed much more profoundly in the final scenes in Sailor Moon, where Usagi faces the bitter Galaxia and Chaos, her wings destroyed, and many of her loved ones have seemingly perished. Finally, when all is almost lost, she realizes the nature of the situation and her enemies and why is it that there seems to be a constant war surrounding her. They did, after all, come from the same source and beneath their animosity, they actually want to be united with her. Usagi then decides to embrace her enemies, embrace destiny, and jumps into the cauldron, where stars are born, to save her friends, not heeding her own fate and safety. 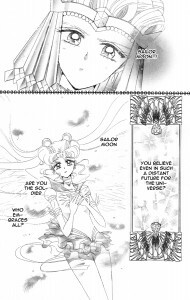 Aside from Mamoru, it is her ultimate enemy, Sailor Galaxia, who realizes this amazing ability to accept the losses along with the gains, and the good along with the bad, yes, even the really, really bad. A crybaby she is, but Usagi is no zero waiting to be a hero. 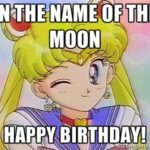 Previous post: Happy First Birthday Shojo Power!